With nearly 100 lawyers and more than 120 other professionals and staff in this office, Dentons is the leading business and litigation law firm in Edmonton and North Central Alberta. We provide strategic and effective legal advice and representation to clients working across all sectors, including corporate and commercial law, intellectual property (patents and trademarks), securities, employment, labour relations and HR, financial services, tax, insolvency and creditor remedies, and real estate development, sales and leasing. We channel our strengths by working through practice groups and applying an integrated approach to challenges, allowing us to resolve matters efficiently and promptly. When required, our team of skilled litigators provide effective representation before the courts; arbitrations, mediation, and government tribunals; and regulatory processes. Our clients benefit from our local knowledge, national strength and global presence, enabling us to support their every business need across Canada, North America and around the globe. To complement our legal practice, our lawyers provide pro bono legal services to organizations in support of access to justice, and dedicate countless hours volunteering as board members and leaders in all aspects of our communities’ social, educational, health, recreational and cultural lives. 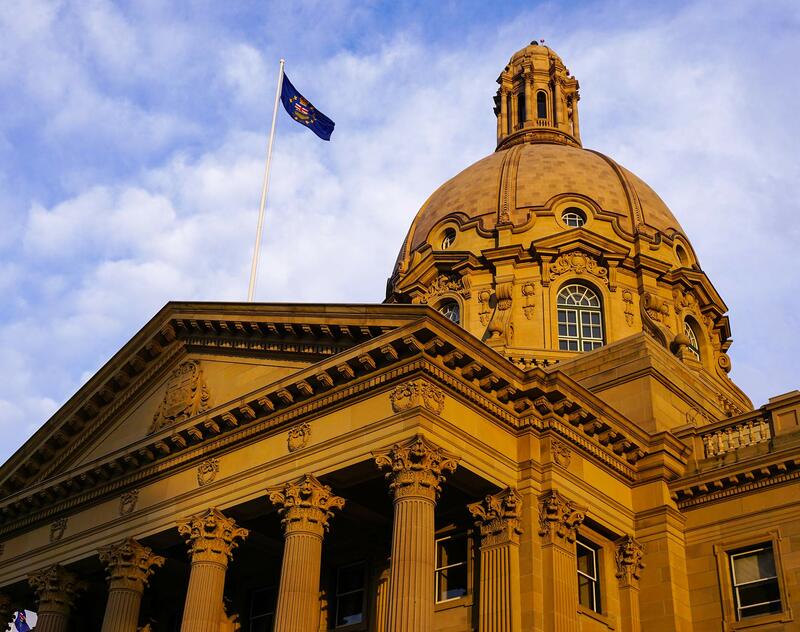 With roots dating back to a time before Alberta was a province with Edmonton as its capital, Dentons is proud to be a cornerstone in the Edmonton community. Alberta Health Services: Advising on the negotiation of an Information Sharing Framework with a medical association, on behalf of participating physicians, which is the first Canadian information sharing agreement (and related information management agreement and information exchange protocol) of its kind. It involves the client and the participating physicians sharing health information as co-custodians using electronic medical record systems owned and/or operated by the client. Bri-Chem Corp.: Advising this leading North American wholesale distributor and manufacturer of oil and gas drilling fluids and steel pipe, on its bought deal equity financing for 6,667,000 common shares at a price of $1.50 per common share for gross proceeds of CA$10 million. Capital Power Income L.P.: Advising in connection with its acquisition of all of the outstanding partnership units of CPILP held by unitholders of Capital Power Income LP (CPILP) other than Capital Power Corporation (CPC) and the acquisition of all of the shares of CPI Investments Inc. (an entity jointly owned by EPCOR Utilities Inc. and CPC) which entity owned approximately 29% of the outstanding units of CPILP, pursuant to a plan of arrangement under the Canada Business Corporations Act. The partnership units were acquired for CA$19.40 in cash or 1.3 Atlantic Power common shares for a purchase price of approximately CA$1.1 billion which was satisfied by the payment of CA$506.5 million of cash and the issuance by Atlantic Power of approximately 31.5 million common shares. In connection with the closing of the acquisition, CPILP sold its two North Carolina biomass plants to CPC for a purchase price of approximately CA$121 million, certain CPC employees, including those working at the CPILP plants became employees of Atlantic Power and management contracts whereby subsidiaries of CPC provided management services to CPILP were cancelled. Global entertainment company: Advising in regards to intellectual property enforcement and litigation in Canada with respect to trade-mark and copyright infringement, counterfeit goods, domain name disputes and brand dilution. Individuals appealing immigration decisions: Advising, launching and preparing legal arguments for and representing individuals on immigration appeals to the Immigration Appeal Division and Federal Court Judicial Reviews with respect to family sponsorship, medical inadmissibility, permanent residency and other matters. Large North American energy company: Serving as counsel with the negotiation for the development and implementation of a new software system to replace its legacy scheduling system that is used throughout the company, and which interfaces with suppliers, customers and other internal groups in Canada and the United States. The company undertook a complex dual-track negotiation with the two short-listed software license and service providers within each of the multiple modules of the project, following vendor responses to an issued RFP for each module. The new system will allow for the automation of many functions and better collaboration, coordination and communication amongst the control centre operations group, the scheduling group and other internal groups within the organization. National Oilwell Varco, Inc.: Advising on a transaction where CE Franklin announced that it had entered into an arrangement agreement with wholly owned NoV subsidiary, NoV Distribution Services ULC (NDS), pursuant to which NDS has agreed to acquire all of the issued and outstanding common shares of CE Franklin for consideration of C$12.75 in cash per common share. The total consideration payable is approximately C$240 million. Noralta Lodge: Advising in connection with its private placement offering of a CA$150 million 7.50% senior secured second lien notes due 2019, and simultaneous entry of a senior secured syndicated CA$110 million bank facility. Rexall Sports Corporation: Advising in the acquisition of the Edmonton Oilers National Hockey League Franchise. Sherritt International Corporation: Advising with respect to due diligence, an internal pre-closing reorganization, and corporate/commercial matters in relation to the sale of its royalty portfolio and its interest in coal development assets for cash consideration of CA$481 million to a group led by Altius Minerals Corp. and the sale of its operating coal assets for consideration of CA$465 million to Westmoreland Coal Company, for total consideration of CA$946 million. Steam distribution and sand control company: Advising for enhanced recovery solutions in the oil and gas industry leading to the successful defense of an action involving claims of patent infringement and invalidity in respect of slotted liner technology. Dentons is proud to congratulate our three lawyers who were listed as “Canada’s Leading Litigation Lawyers” by Lexpert, in its recent special edition on litigation, which appeared in the Globe and Mail's Report on Business magazine. Dentons is pleased to announce that Mike Harris has joined the Firm as a partner in our Tax group. For the ninth consecutive year, Dentons has been named one of Canada's Best Diversity Employers, reinforcing the strength of the Firm’s commitment to diversity and inclusion.